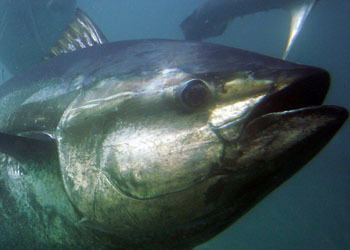 In deciding these retention limits, NOAA Fisheries considered the regulatory determination criteria regarding inseason adjustments, which include available quota, fishery performance in recent years, availability of BFT on the fishing grounds, and the effects of the adjustment on the stock and on accomplishing the objectives of the 2006 Consolidated HMS Fishery Management Plan (FMP) and amendments. NOAA Fisheries also considered input from the HMS Advisory Panel. These limits should provide opportunities to harvest the available U.S. BFT quota without exceeding it; prevent overharvest of the 2018 quotas; and collect a broad range of data for stock monitoring purposes. These daily retention limits apply to vessels permitted in the recreational HMS Angling category and the HMS Charter/Headboat category while fishing recreationally. The daily retention limits are effective for all areas except for the Gulf of Mexico, which is designated as BFT spawning grounds and where NOAA Fisheries does not allow targeted fishing for BFT. Regardless of the duration of a fishing trip (e.g., whether a vessel takes a two-day trip or makes two trips in one day), no more than a single day’s retention limit may be possessed, retained, or landed. NOAA Fisheries will continue to monitor the BFT fisheries closely. HMS Charter/Headboat and Angling category vessel owners are required to report the catch of all BFT retained or discarded dead, within 24 hours of the landing(s) or end of each trip, by accessing the HMS Permit Shop,using the HMS Catch Reporting App, or calling (888) 872-8862 (Monday through Friday from 8 a.m. until 4:30 p.m.). Depending on fishing effort and catch rates, additional retention limit adjustments or fishery closures may be necessary to ensure available quota is not exceeded or to enhance scientific data collection from, and fishing opportunities in, all geographic areas. NOAA Fisheries regulations require that all BFT that are released be handled in a manner that will maximize their survival, and without removing the fish from the water. For additional information on safe handling, see the Careful Catch and Release brochure. This notice is a courtesy to BFT fishery permit holders to help keep you informed about the fishery. For additional information, please go to the HMS Permit Shop or call (978) 281-9260. Official notice of Federal fishery actions is made through filing such notice with the Office of the Federal Register.